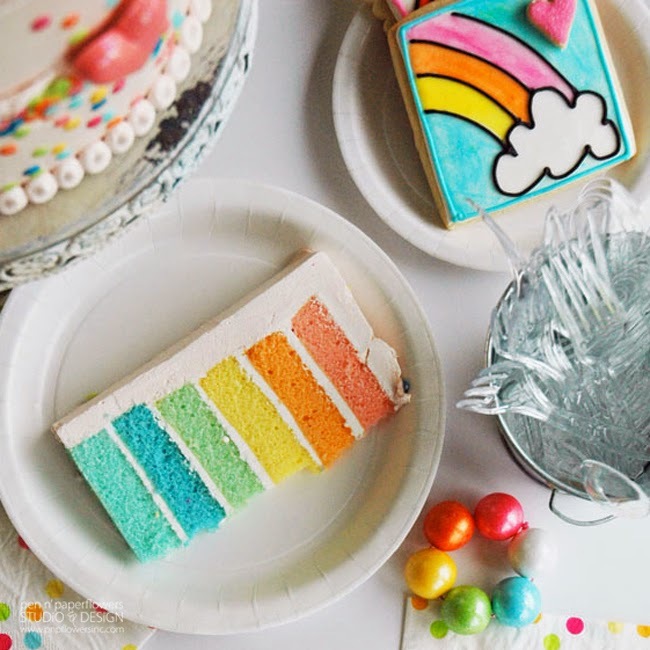 You guys…I'm totally gushing today about one of the cutest parts of Ella's Rainbow Unicorn Party. 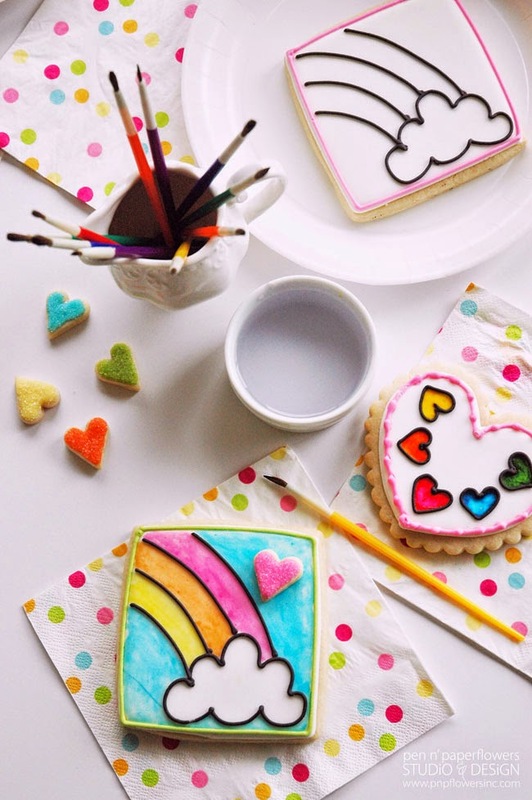 It's not only adorable but it's brilliant because it is a party "activity" that becomes an edible party favor. I had the privilege to work with Lisa from Flourish Sweet Shop again while planning Ella's birthday party. 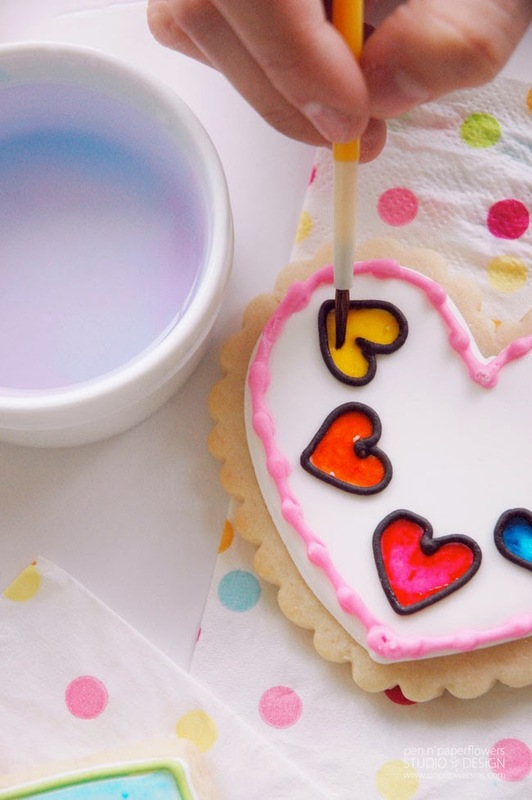 (remember the "Love You to the Moon" cookies she made)? 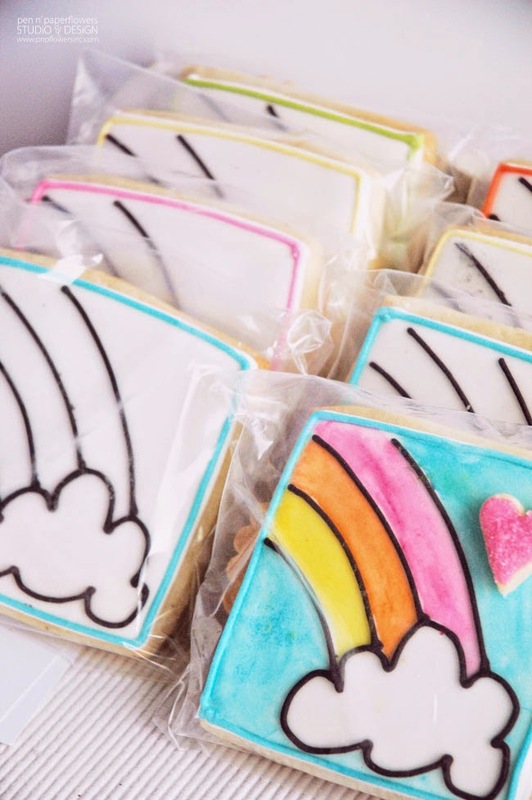 When I mentioned to her Ella's request to be able to color rainbows as one of the party activities, Lisa mentioned a new cookie concept she'd been playing around with and I knew it was exactly what I needed for Ella's party. 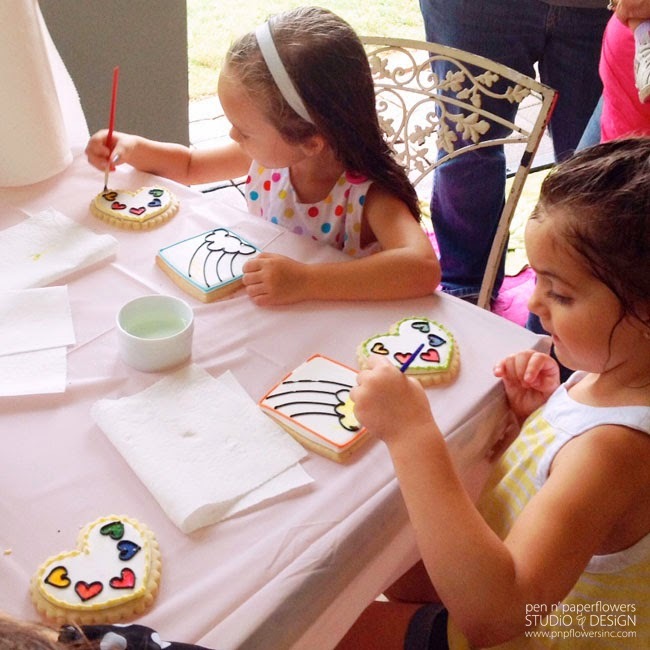 party guests to paint using a customized paint palette of colors comprised of edible food colorings. 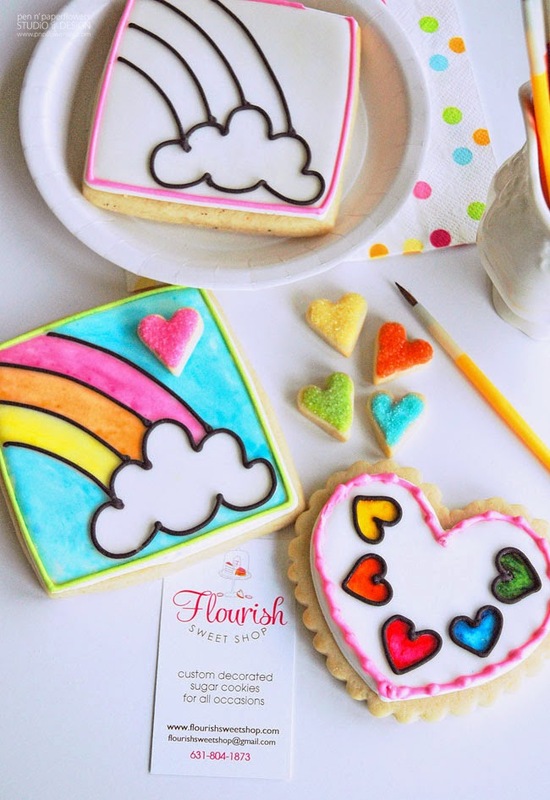 Flourish Sweet Shop’s “Paint-by-Party” cookies typically feature one cookie with an image to paint and the paint palette embedded into the overall cookie design. 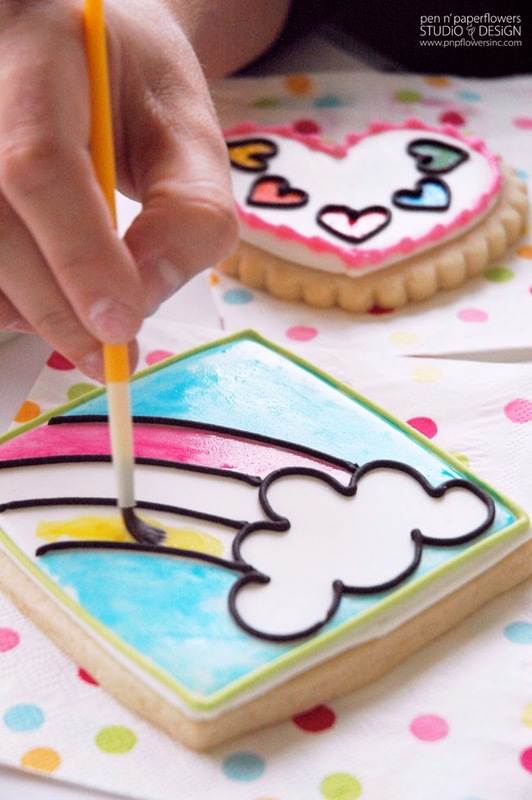 For Ella's Rainbow Unicorn Party, I worked with Lisa to come up with two different cookies - one to paint and one specifically as a paint palette. 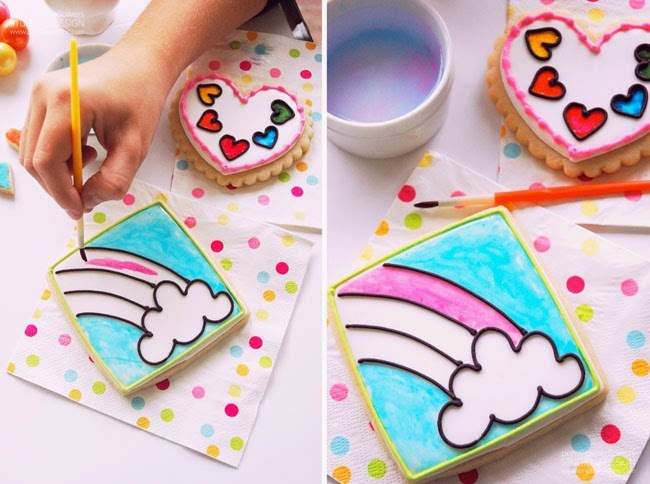 I loved her suggestion of creating a "heart-sharped" paint palette cookie to tie in the heart element I added to the unicorn on Ella's invitations. All I had to do was provide the kids with paint brushes, (rainbow colors of course), a paper plate, a small container of water and a napkin (or paper towel) for dabbing off extra water after rinsing between colors. The kids LOVED the whole process. It's one thing to paint something…it's an entirely different thing to be able to paint something and then be able to eat it. I let the kids paint their cookies and then I removed them from the table to dry while the kids continued to engage in other party activities. Once the cookies were dry (about 30 minutes or less) I enlisted the help of my two older daughters (Clara and Ema). They bagged up the cookies for me in clear cellophane bags for the kids to take home as part of the party favors. Thanks Clara! Thanks Ema! 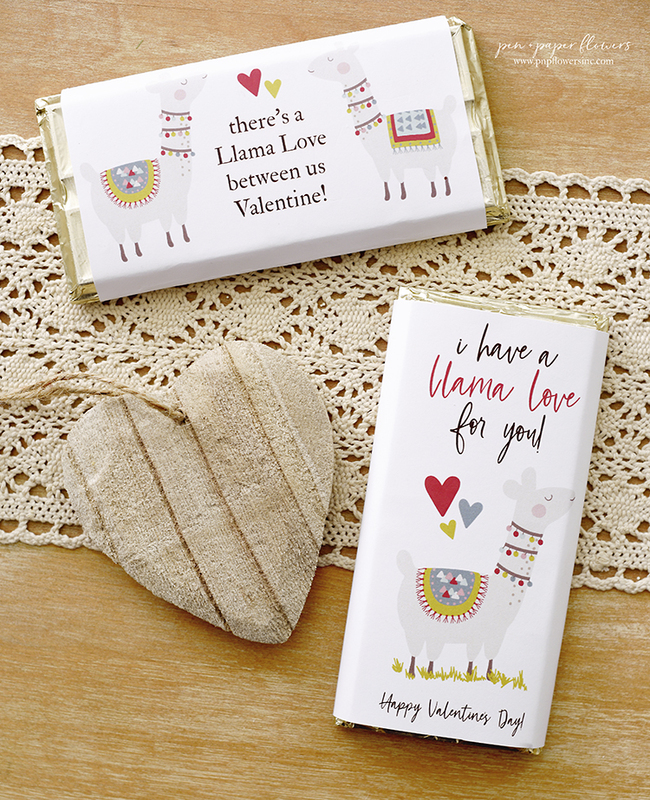 Are you totally loving this idea as much as me? 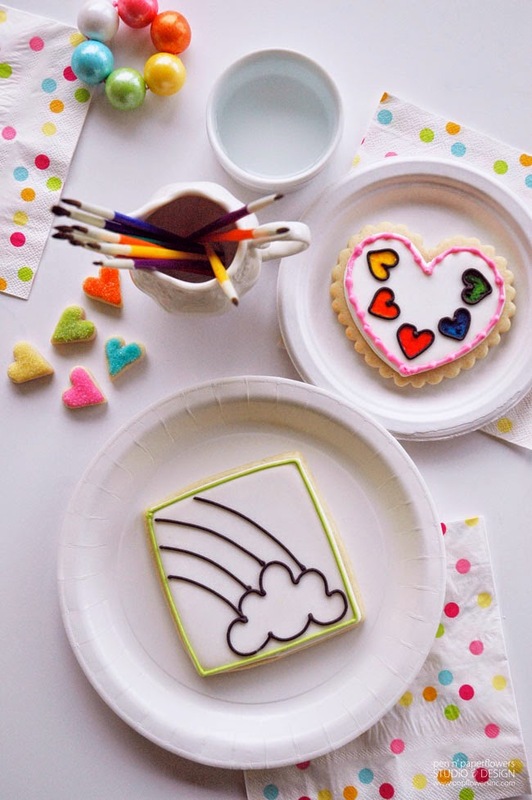 Lisa at the Flourish Sweet Shop can create these Paint-by-Party cookies to match any party theme. 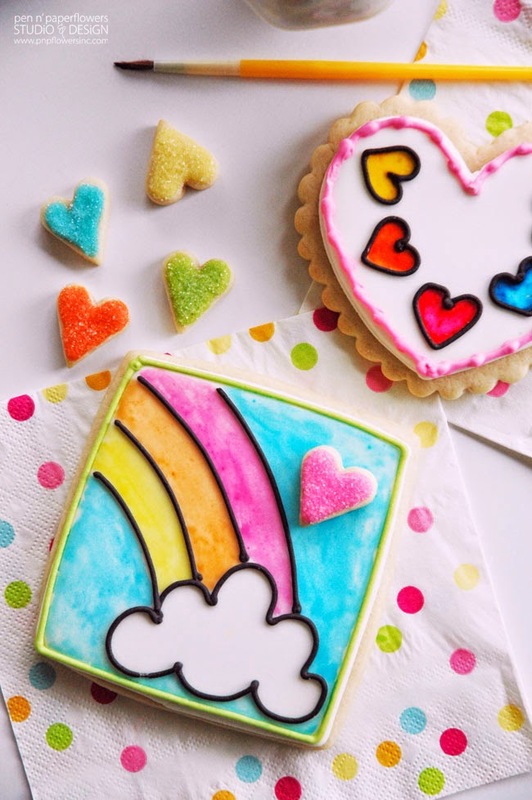 As a graphic designer, I was able to create the rainbow and cloud image to send over to Lisa to use on the cookies. However, Lisa can do that part for you if you need her to. Thank you so much for making Ella's 5th birthday so memorable, Lisa!! I was a little nervous when the cookies arrived because the paint palette colors looked really dark. To my surprise, when the edible food coloring was activated by adding a wet paintbrush the colors. were. perfect. I was SO happy. 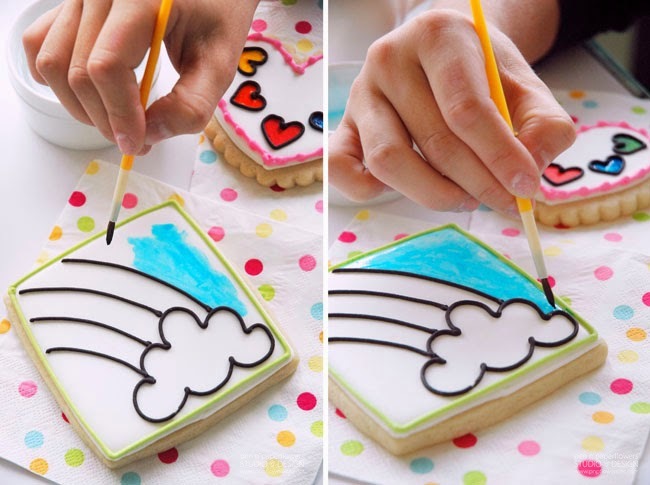 Ema and I had fun "practice-painting" a couple of the cookies the day before the party. I loved it. As I was trying to have the kids glue on the mini hearts with the bag of icing Lisa sent, I could NOT find it anywhere. 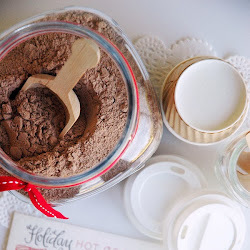 I ended up having to mix up a little bit of powdered sugar and water as the glue and it worked just fine. (I did find the icing bag later but it wasn't until after we were all done). Darn! You are too kind! It looks so tempting that I want to do this activity! 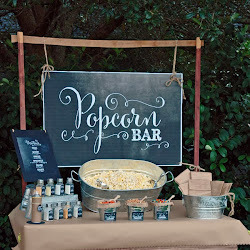 Great idea for a party craft. Love it! This party looked beautiful. Evrry detail was accounted for. Just lovely!! Thank you so much for you sweet comment Kelly!! It was fun putting it together! 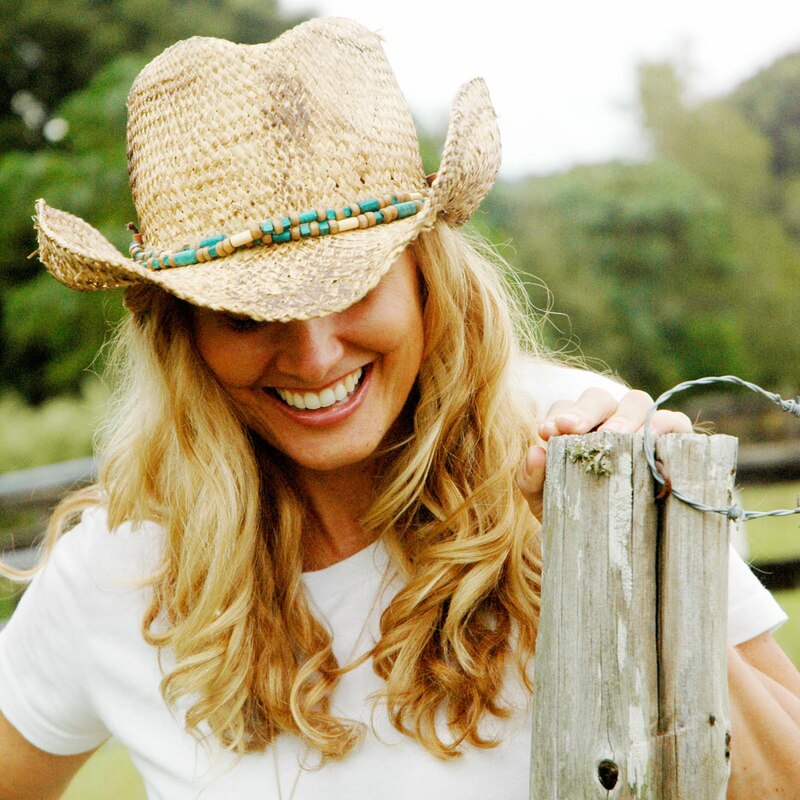 You are amazing Lisa!! Your cookies were a hit!! Thanks so much for your brilliance!! I think so too Kelly! !